The ongoing effort in Congress repeal the Affordable Care Act is far from the only bad news from Washington of late when it comes securing health care for vulnerable people. Both of the budgets proposed by the Trump administration and the U.S. Senate would completely eliminate funding for State Health Insurance Assistance Programs. This would affect North Carolina’s assistance program, NC Seniors Health Insurance Information Program (NC SHIIP), which relies heavily on federal funds to provide valuable services to North Carolina’s Medicare beneficiaries. NC SHIIP offers free, unbiased, accurate, and highly personalized one-on-one counseling to residents in all 100 North Carolina counties. In 2016 alone, NC SHIIP counseled more than 105,000 Medicare beneficiaries. NC SHIIP operates under a cost-effective and innovative model, utilizing a small paid staff and a network of approximately 1,000 trained volunteer counselors to meet the needs of North Carolina’s Medicare recipients. The counselors meet with Medicare beneficiaries, many of whom are elderly, retired, or disabled, to explain the increasingly complex Medicare program and to ensure consumers are taking full advantage of their benefits. Last year, NC SHIIP helped North Carolinians save more than $44.3 million on Medicare coverage and prescription drug costs. These cost savings are especially pertinent, given that 1 in 4 beneficiaries who rely on NC SHIIP have incomes below 150% of the Federal Poverty Level. This blatant disregard for the importance of consumer assistance programs puts the future of NC SHIIP at risk. 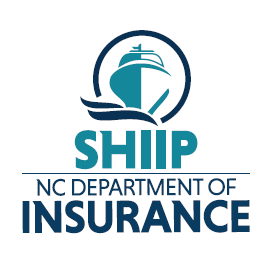 Without NC SHIIP, confused consumers will be forced to utilize a federal resource that is not equipped to handle the call volume or offer personalized assistance necessary to adequately explain Medicare benefits. The proposed federal budgets are a direct attack on North Carolina’s most vulnerable. NC SHIIP protects the Medicare benefits of North Carolina residents who are elderly, disabled, and low-income. The program ensures access to affordable and comprehensive health care coverage. Without federal funding, NC SHIIP would be unable to provide these critical services. The House of Representatives is scheduled to debate the 100% funding cut for State Health Insurance Assistance Programs in the next few weeks. Sydney Idzikowski is an MSW intern at the N.C. Justice Center.